U.S. Senate OKs bill to protect Sleeping Bear Dunes (Detroit Free Press): According to U.S. 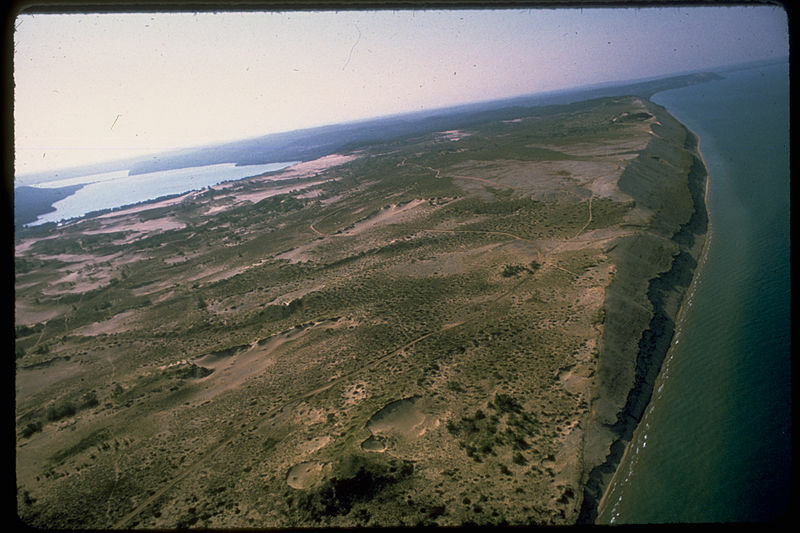 Senator Carl Levin, Michigan’s northern Sleeping Bear Dunes National Lakeshore will see greater protection in upcoming years. On June 21, the Senate approved a measure designating 32,000 acres of Lake Michigan shoreline as wilderness. This designation follows 13 years of work updating the lakeshore’s overall management plan. The senator says the land will provide critical access to the shore’s recreational and cultural opportunities. Shedd Aquarium showcases Great Lakes, increases awareness for conservation research (mlive): Chicago’s Shedd Aquarium has opened a new exhibit, “At Home on the Great Lakes.” The display showcases over 60 Great Lakes species and includes a sturgeon touch pool, where visitors can have an up close connection with the prehistoric fish. Interactive elements are also scattered throughout the exhibit, such as a screen with live news updates on Great Lakes protection progress. The goal of the display is to rally conservation groups and to inspire the public to protect the Great Lakes. U.S. Fish and Wildlife Service Awards Grants to 28 States for Work on Deadly Bat Disease (WhiteNoseSyndrome.org): The U.S. Fish and Wildlife Service announced grant awards Thursday totaling $950,694 for white-nose syndrome projects. 28 states received grants to monitor bat populations, as the disease has spread rapidly among bat species in past years. Michigan received one of the highest grant amounts, gaining a total of $47,500. The funds are to be used to slow the westward spread of white-nose syndrome, which has already killed approximately 5.7 million bats. President Obama targets coal power plants, pushes renewable energy in new climate change plan (mlive): In a speech at Georgetown University Tuesday, President Barack Obama proposed steps to boost renewable energy production and to limit heat-trapping from coal power plants. The president hopes to generate enough electricity from renewable projects to power the equivalent of 6 million homes by the year 2020, doubling the electric capacity federal plants are currently producing. Additionally, the speech set a goal for federal housing projects to install 100 megawatts of energy-producing capacity by the end of the decade. Human Activities Threaten Sumatran Tiger Population (Science Daily): Researchers have recently found that tigers in central Sumatra live at densities much lower than previously believed, which is likely the result of human disturbance. Though habitat loss and deforestation have long been known to threaten tigers, the data reveals that areas of human farming, hunting and gathering of forest products have very small tiger populations, regardless of their abundant populations of prey. The study reveals that more extensive monitoring of tigers and their habitats will be critical to the survival of the species. Energy debates play out on the Great Lakes nearshore (Great Lakes Echo): In the midst of nearshore energy production controversy across the Great Lakes region, the western Lake Erie basin, between Detroit and Cleveland, is facing some of the greatest debate. The heavily populated area has been found to display some of the worst pollution, affecting fish and wildlife habitats, water quality and climate change effects. Some changes have been implemented to combat this, such as wind turbines along the shore, but they face positive and negative responses from environmental officials. It’s finally summertime; the birds are chirping and the flowers are blooming, but the mosquitoes are biting. 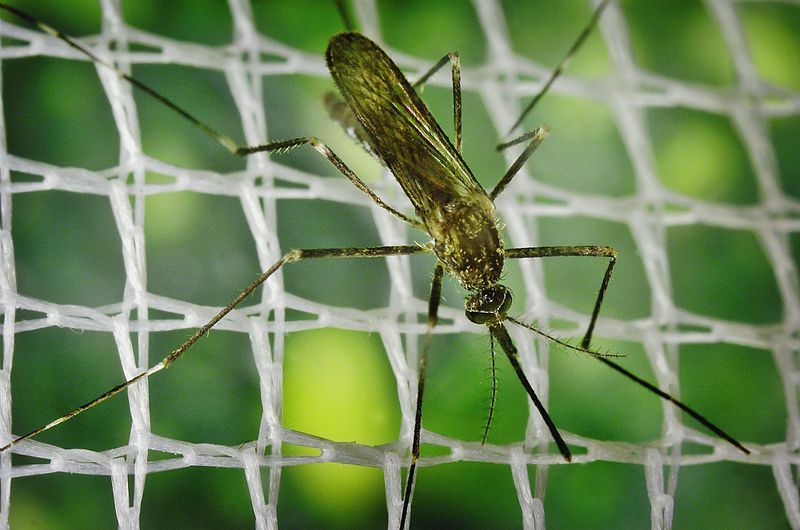 In the midst of an otherwise perfect day outdoors, mosquitoes not only have the ability to annoy us, but they can spread harmful diseases as well. For this reason, the American Mosquito Control Association (AMCA) has declared the week of June 23-29 as the seventeenth annual “National Mosquito Control Awareness Week.” The AMCA started Mosquito Week with the intent to educate the public on the environmental significance of mosquitoes and to promote safe control methods. Regardless of their bad reputation, mosquitoes serve an important role in local ecosystems. The bug is especially vital to the aquatic food chain, as many fish rely on mosquito larvae for a main source of nutrients. Additionally, many other species consider mosquitoes a major food source, such as bats, spiders, lizards, frogs and several types of birds, including house martins. In tundra areas, mosquitoes are especially important to migratory birds, which would be expected to drop by more than 50 percent if the bug were completely exterminated. On top of their nutritional significance, mosquitoes pollinate many plants. Since the blood mosquitoes take in is only used to provide protein to their eggs, their normal source of food comes from pollen. In Michigan, mosquitoes are known to help pollinate several different types of flowers, including goldenrod and orchids. On a global scale, mosquitoes in areas of South America pollinate cacao plants, which are used to make chocolate. Still, while mosquitoes are vital link in our ecosystem, the species creates some serious problems. Mosquitoes are vectors of several viruses, such as West Nile Virus and dengue fever. The bug is also a primary spreader of Malaria, which is becoming especially prominent in many developing areas. To help combat disease and to enjoy your time outside, it is important to take precautionary measures against the pest. However, some control methods can do more environmental harm than good. Pesticide spray, used through foggers to get rid of mosquitoes in the masses, is toxic to many aquatic species when it washes into bodies of water. Additionally, the spray pollutes the air, harming the humans who breathe it. 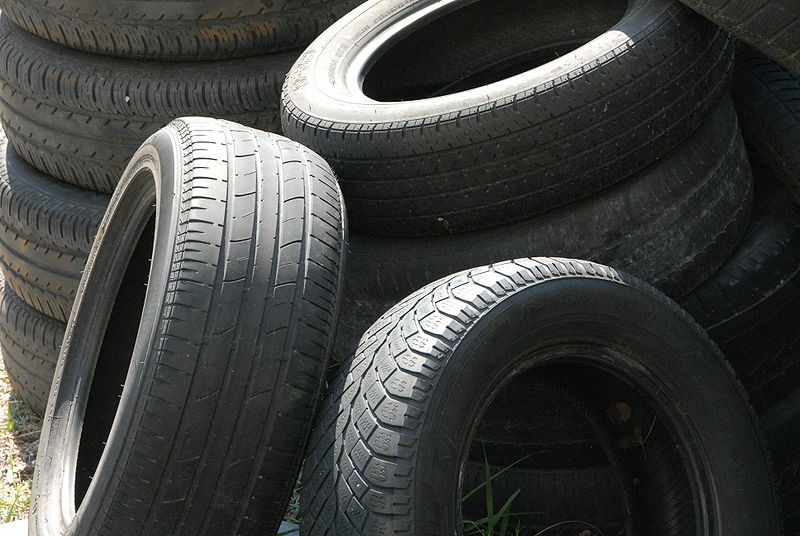 The standing water in old tires is a common breeding ground for mosquitoes. Luckily, there are many safe and easy ways to repel mosquitoes. One simple method is to get rid of areas of sitting water, especially artificial containers, as these are common breeding areas for the bug. Changing birdbath water often and mowing high grass can help reduce the amount of sitting water and, therefore, the amount of mosquitoes on your lawn. Also, certain plants, such as basil, marigolds and lemongrass, naturally repel mosquitoes, so having a few of these around could keep you from constantly swatting at the bugs. Though they may seem like nothing more than a summertime nuisance, mosquitoes play a vital role in our ecosystem. This week remember that, while it is important to protect yourself from this irritating bug, it is also important to do so in an environmentally safe manner. Release of classroom pets bring more invasive species here (Great Lakes Echo): The results of recent surveys show that released classroom pets may be a significant contribution to Michigan’s invasive species issue. Sea Grant researchers surveyed nearly 2,000 teachers from the United States and Canada and found that 27 percent of those who have class pets release the species they raise. While these animals can help to connect students with the natural world, their release into the wild is a concern among scientists, who are initiating multiple public awareness efforts on the topic. Canadian geese flying over Lake Michigan. 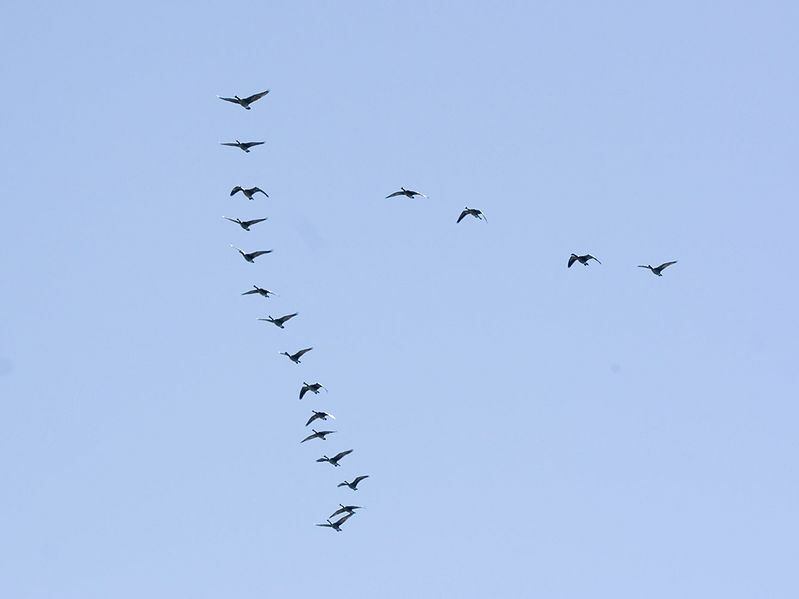 Report: Climate change threatening migratory birds (Michigan Radio): In regard to the hundreds of migratory birds that pass through the Great Lakes region, climate change is a main concern. Studies show that increased global temperatures reduce the range these birds can travel and affect where they can feed and raise their young. According to the National Wildlife Federation, some migratory birds could face extinction if climate change is not slowed. USGS: Asian carp eggs can incubate in more areas (Southtown Star): A new report from the U.S. Geological Survey shows that Asian carp may be able to spawn in more Great Lake tributaries than previously believed. The survey data shows that the Asian carp’s fertilized eggs can incubate in waterways only 16 miles long, a much shorter distance than the 62 miles researchers once thought the eggs needed. Though this reveals that more areas are susceptible to the invasive species, researchers hope the data will help authorities initiate more effective defensive measures. ‘Oily substance’ in lake baffles investigators (Chicago Tribune): The U.S. Coast Guard and Indiana environmental officials are investigating a silvery substance that was found in Lake Michigan Monday afternoon. Some beaches evacuated swimmers from the water after noticing an oily layer on the skin of bathers and a silver tint to the lake in the Michigan City, Indiana area. Tests show that the substance included a mild acid used to clean metals, D-gluconic acid, as well as an additive found in fertilizers and food, tricalcium orthophosphate. Though Monday night’s rains dissipated the sheen from the water and no ill health effects have been reported, officials continue to investigate the issue. 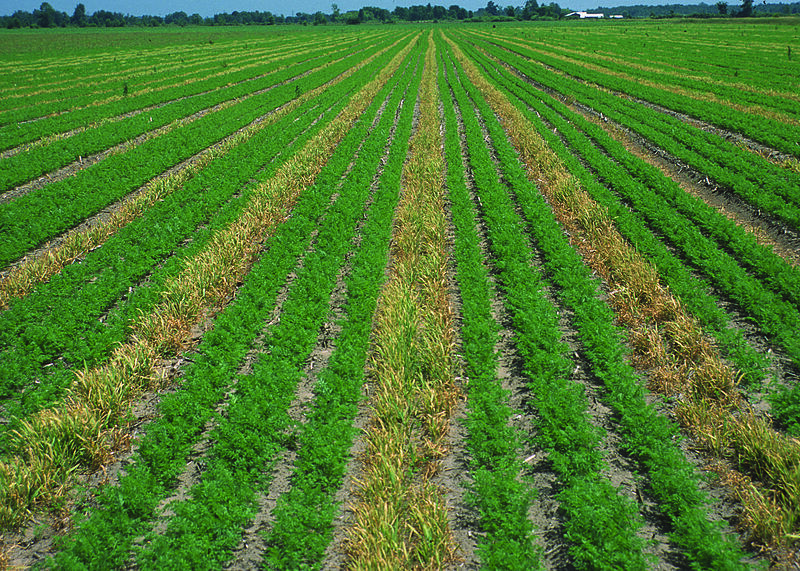 Rye windstrips between carrot rows in Newaygo County. Research shows planting cover crops protects Michigan’s environment (mlive): Research shows that crops grown for protection and enrichment of the soil can provide substantial environmental benefits. By absorbing residual post-harvest nitrogen, cover crops help protect Michigan’s groundwater while reducing the impact of erosion and runoff. Cover crop research serves as an example of one of the many ways agriculture can be used to protect the state’s soil, water and air quality. How Cities Compost Mountains of Food Waste (National Geographic): New York City mayor Michael Bloomberg recently expressed plans to increase food composting in the city, following movements in many other cities across the nation. Recycled food scraps will be used as fertilizer or energy sources for the city, conserving space in landfills and saving money for taxpayers. A similar composting movement in San Francisco has proved effective, reducing the city’s greenhouse gas emissions to roughly 12 percent below its 1990 emission levels. Michigan protects federally listed birds, snakes and plants—and one bat. The Indiana bat, the only endangered bat in the state, has been federally protected since the late 1960s. An Indiana bat. Photo courtesy of Wikipedia Commons. Indiana bats are small, with mouse-like ears and dark brown to black fur, and only weigh one-quarter of an ounce. Though these bats are small and light, they appear larger in flight and have a wingspan of 9 to 11 inches. Indiana bats can be found in the eastern United States, with populations living in Indiana, Missouri, Kentucky, Illinois, New York, Alabama, Arkansas, Connecticut, Iowa, Maryland, Michigan, New Jersey, North Carolina, Ohio, Oklahoma, Pennsylvania, Tennessee, Vermont, Virginia, West Virginia. They spend their winters hibernating in cool, humid caves or abandoned mines, and roost under loose tree bark on dead or dying trees in the summer. In 2005, the estimated population was about 457,000 Indiana bats—half as many as there were when the species was listed as endangered in 1967. Reasons for population loss include human disturbance, cave commercializing and improper gating, summer habitat loss or degradation, and pesticide and environmental contaminants. One additional factor threatens all species of bats and has killed millions bats since 2006: a disease called white-nose syndrome. White-nose syndrome was first observed in a cave in New York in 2006 and has spread to caves in Vermont, Massachusetts, Connecticut, New Hampshire, New Jersey, Pennsylvania and West Virginia. The disease affects hibernating bats and is named for the white fungus that appears on the bat’s muzzle and other body parts. Bats with this disease exhibit uncharacteristic behavior during hibernating months, including flying outside during the daytime and clustering near entrances of the areas in which they hibernate. White-nose syndrome has killed between 5.7 and 6.7 million bats in the eastern part of North America; in some hibernating areas, as many as 90 to 100 percent of hibernating bats have died. A bat with white-nose syndrome. Photo courtesy of Wikipedia Commons. State and national plans have been established to manage white-nose syndrome, and Michigan published its response plan in December 2010. 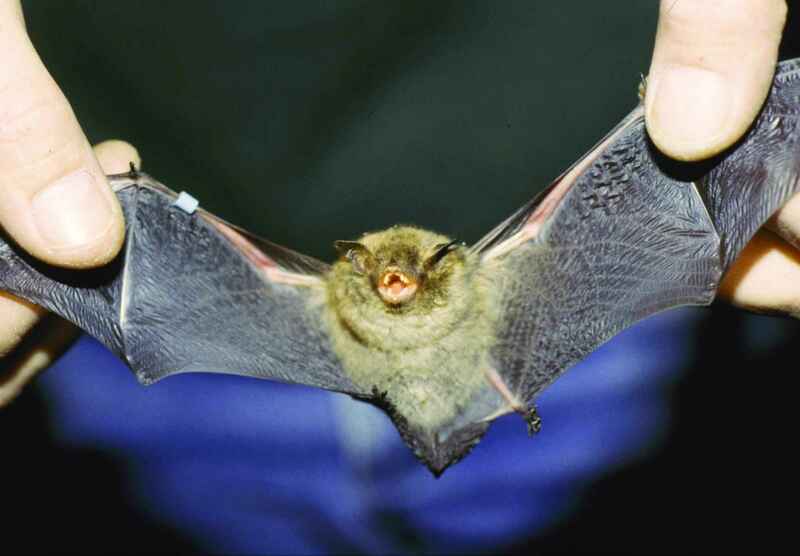 The response plan focuses on delaying human-assisted introductions of the disease as much as possible, minimizing human dissemination of the fungus associated with the disease once it becomes present in Michigan, and conserving the remaining bat population after the disease has arrived. Thankfully, things are still looking good in the mitten state: the Michigan Department of Natural Resources conducted a statewide survey in 2012 and found no sign of white-nose syndrome. For more information on white-nose syndrome, visit the U.S. Fish and Wildlife Service’s white-nose syndrome website. A gypsy moth caterpillar. Photo courtesy of Wikimedia Commons. 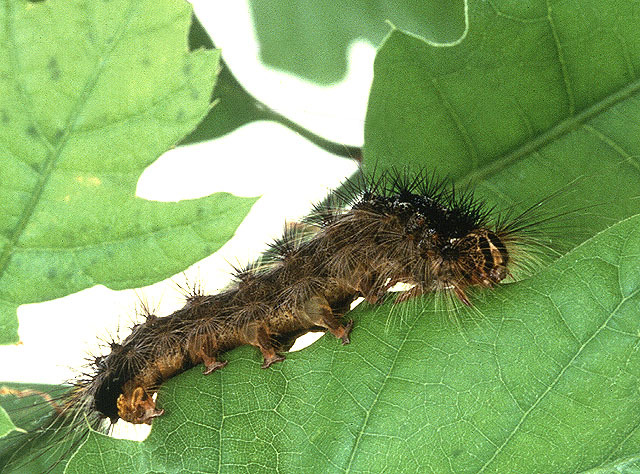 Gypsy moth caterpillars attacking trees in southeast Michigan (MSU Extension): Effects of last year’s drought are still prevalent, as gypsy moth populations are rapidly increasing in southeast Michigan. The lack of rainfall in 2012 allowed more caterpillars to survive into the moth stage, resulting in mass defoliation in southeast woodlands. In defense, local property owners are wrapping Tanglefoot bands around tree trunks to prevent caterpillars from climbing. Additionally, recent rainy periods have allowed for the creation of Entomophaga maimaiga, a fungus that naturally limits the species. Bald eagles produce first eaglet in Stony Creek Metropark history (Daily Tribune): Though only 6 weeks old, a Stony Creek eaglet is making headlines. According to area birdwatchers, the baby eagle is the first of its kind born in the park since Stony Creek’s founding in 1964, as high levels of human activity have continually limited eagle reproduction in the area. Birdwatchers say the birth is a positive sign, revealing that Stony Creek’s efforts to protect bald eagles, such as improved water quality and better habitat management, are paying off. Mayfly population is steady, indicating good water quality (The News-Messenger): After decades of little mayfly presence on Lake Erie, the species is back and its populations are remaining steady. Though Lake Erie has dealt with algae blooms and invasive species in recent years, these factors do not appear to be affecting the pollution-intolerant mayfly population at this point. Because mayflies are a vital source of protein, the lake’s ecosystem is showing positive changes as a result of the consistent mayfly population. Fish Nets Found to Kill Large Numbers of Birds (The New York Times): A recent study in the journal Biological Conservation reveals that fishing nets have a much larger impact on bird species than was previously believed. According to the study, vessels that use gill nets snare and drown at least 400,000 seabirds each year, including penguins, ducks and some critically endangered species, such as the waved albatross. Because there are few proven ways to deter seabirds from nets, it is difficult to reduce this number of deaths. Still, many fishing enterprises are researching ways to solve the issue. 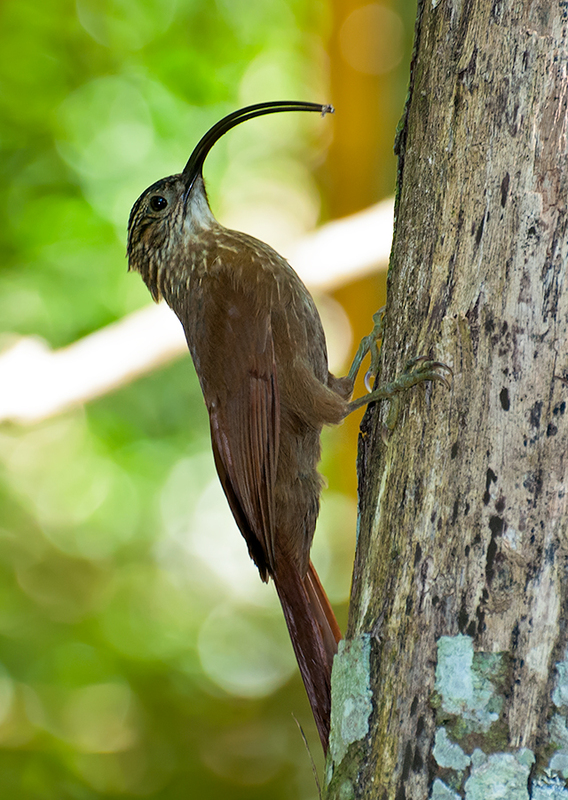 Arapaçu-de-bico-torto, loosely translating to crooked-beaked woodcreeper, is one of the birds recently discovered in the Amazon. Photo courtesy of Wikimedia Commons. Bird extravaganza: scientists discover 15 new species of birds in the Amazon (Mongabay): Scientists working in the southern Amazon have recorded 15 new bird species since the start of 2013, making this group the largest number of uncovered Brazilian Amazon birds in 140 years. Though 11 of the new species are known only in Brazil’s forests, four others are found in areas of Bolivia and Peru as well. This especially large discovery is unusual because, on average, only seven new bird species are discovered worldwide each year. BP Ends Gulf Cleanup in 3 States (The Huffington Post): Roughly three years after BP’s massive oil spill in the Gulf of Mexico, the company officially ended cleanup work in Mississippi, Alabama and Florida last Monday. BP spent approximately $14 million attempting to return the shoreline as close to pre-spill conditions as possible, with more than 48,000 individuals involved in those efforts. However, work continues along 84 miles of Louisiana’s shoreline, which still shows damage from the spill. Sand Creek Prairie Plant Preserve is home to Hill’s thistle, and this may well be the last known extant population in southern Michigan. In order to help preserve this species of special concern, we are evaluating the genetic diversity of Cirsium hillii. We (Andie and Alyssa) are studying the 2012 and 2013 flowering seasons, respectively. We will be senior biology majors in the next academic year, and this project will serve as our senior thesis requirement at Hillsdale College. Our research is being directed by botany professor, Dr. Ranessa Cooper, and conservation genetics professor, Dr. Jeffrey Van Zant. Although there have been multiple studies conducted on the genetic diversity of Hill’s thistle, these studies will be the first conducted on a Michigan population. We are excited to be a part of understanding more about the genetics of the rare Hill’s thistle. A controlled burn on the south side of the preserve. Sand Creek Prairie Preserve is located in Hillsdale County. The 12-acre land is bordered by Sand Creek and the land is covered with a large variety of ferns, shrubs, and plants. This habitat, oak barren/savanna, is unique for southern Michigan. Hill’s thistle prefers areas that are open and available to sunlight because that helps the seeds germinate. This past May, a controlled burn was done on the south side of the preserve that helped in clearing up leaf litter in the preserve. We were able to visit the site to observe the burn and continue to visit weekly to see the growth occurring in the Hill’s thistle population. Andie suited up to help with the controlled burn. The Hill’s thistle is a short perennial (similar to Pitcher’s thistle) that generally flowers once before dying, around age two or three years. At death, the main taproot sends runners off to create more thistles. Many of the observed plants will hopefully contain the purple flowering head this season which begins in early June. In 2012, we collected data on how many plants were on either the north or south sides of the preserve. Once the thistles were blooming, we collected a leaf from about 120 plants in order to conduct the genetic analyses. We just completed this season’s population count, and the collection of leaf samples will take place soon. Cirsium hillii rosette preparing to blossom. Currently, we have analyzed several different sequences for about 40 of the collected leaves. We have been optimizing primers and evaluating sequence data over the last couple weeks. Due to the rarity of the habitat, Hill’s thistle is a species of special concern. The dwindling number of available habitat is keeping Hill’s thistle populations low and possibly decreasing genetic diversity for the species. Our study hopes to find that the population is diverse and healthy, especially now that the preserve is being managed. Ed. note: You can learn more and explore Sand Creek Prairie Plant Preserve on MNA’s 2013 Fall Adventure. Dr. Ranessa Cooper will join us on the Adventure to discuss research at Sand Creek Prairie Plant Preserve, and guests will have the opportunity to take a guided tour of the sanctuary (and several other MNA sanctuaries). For more information, visit the MNA website or call (866) 223-2231. Great Lakes event seeks more data on Asian carp (Journal and Courier): Asian carp and other invasive species were one of the main topics of discussion last Monday at the Conference on Great Lakes Research at Purdue University. Presenters emphasized the Asian carp’s negative impact on the Great Lakes and focused on better understanding the species. Illinois Governor Pat Quinn also suggested a separation of the Great Lakes and Mississippi River systems as a possible solution to eliminate Asian carp. Lake Superior level jumps 9 inches in May (The Daily News): Though Lake Superior usually only rises about four inches each May, its water level jumped nine inches last month. The rise is a result of cold spring temperatures and late snow, which held back runoff until melting. Lakes Michigan and Huron are also quickly rising from near record-setting low water levels last winter and these higher lake levels could have positive outcomes for both recreational boaters and the Great Lakes shipping industry. Plastic bags harm Duluth streams, Lake Superior (Great Lakes Echo): Duluth city councilor Emily Larson has teamed up with the organization Bag It Duluth to decrease plastic bag use across Minnesota. Because they are unable to fully decompose, grocery store plastic bags often clog drainage pipes, causing backflows. Bag It Duluth hopes to combat this by spreading public awareness and encouraging shoppers to recycle or reuse bags. Though the project is still in its first stages of development, it has begun to generate community interest as both citizens and businesses are looking to get involved. Belle Isle project improves fish habitat, opportunities for anglers (Detroit Free Press): The Great Lakes Restoration Initiative has offered $2 million in grants to Belle Isle park in hopes of improving fish habitat in the area. The majority of this money supports the Blue Heron Lagoon, a 41-acre wetland on the east side of the island, in hopes of improving the fishing experience at the park. Workers are expanding fish spawning areas and planting both submerged and emerged plants to diversify the lagoon’s biosystem and promote a healthy community of wildlife. 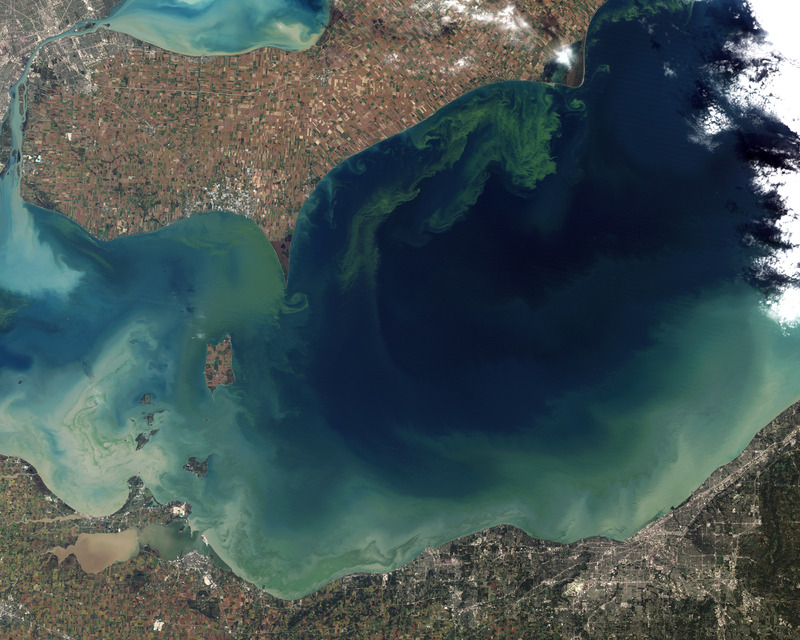 Lake Erie’s Record Breaking Algae Bloom of 2011 May Be a Sign of Things to Come (Great Lakes Now): A recent study from the University of Michigan revealed what may have been the cause of the harmful algae bloom on Lake Erie that occurred in 2011. In October of that year, algae covered approximately 2,000 square miles of the lake, negatively impacting its water quality and biodiversity. By using computerized climate models, researchers found that high levels of spring precipitation combined with an abundance of dissolved phosphorus from no-till farming contributed to the bloom, and the team is looking into ways to avoid the issue in the future. Pet Deer, Lilly, Sparks Legal Battle For Michigan Family (Huffington Post): A Genesee County couple is facing controversy over their pet deer, Lilly. The couple acquired Lilly when the deer’s mother was hit by a car five years ago, and they have kept her in their home ever since. The Michigan Department of Natural Resources recently notified the owners that the deer must be released into the wild, complying with laws regarding the use of wild animals as private property. The couple has hired a lawyer in an attempt to keep the deer.